FOLLOWING ITS rigorous marketing campaign in 2017 dividends are now showing at Mpumalanga Tourism and Parks Agency. This week it released stats indicating a slender tourism growth arrivals from 1,535,361 to 1,576,507 (3% increase) recorded in 2017. These figures are attributed by the campaign the agency launched that focuses on tourism infrastructure and tourist attractions in the province. From December 1 2018 to January 15 2019, notable attractions such as Kruger National Park, Sudwala Caves, Barberton Makhonjwa Mountains World Heritage site, drew huge numbers. “With our festive season campaign that kicked off in November 2018, the process started slow. However, with a number of signature events that were hosted in various parts of the province, this boosted the numbers of those that visited the province. 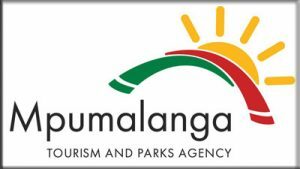 These results show that we are slowly making a positive impact”, says Xolani Mthethwa, executive manager Tourism at MTPA. This is an increase of 0,61% when compared to the same period in the previous year. MTPA has been experiencing a shortfall of tourists visit as a result of crime, inconsistencies within the sector and politics; but it seems the rear-guard has shifted owing to increased numbers as a result of passengers that use air transport to the province, amongst others. The domestic market recorded an increase of 6% (562 difference) from 9,026 in 2017 to 9,588 in 2018, whereas the international market increased by 27% (difference of 100) from 366 in 2017 to 466 in 2018. Regional market increased from 59% in 2017 (difference of 16) from 11 to 27 in 2018. The agency indicated challenges experienced during the festive period, but on a positive note tourism offices in the province noted that bookings continued to grow in January 2019, which indicates that the tourism season was in full swing. The Kruger National Park saw 194 782 visitors during the festive season (13 December 2018 – 8 January 2019). This is a 0.6 % year on year improvement. Out of the 194,782 visitors 81.4% were day visitors and 79.7% were South Africans.